With a diameter of 33 mm and a case thickness of 6.5 mm the Nomos Ludwig 33 watch was created for those with smaller wrists. The Nomos Ludwig 33 features a sapphire crystal back. During our visit to the Nomos workshops, we saw first hand the production of these movements, including all of the intricate operations necessary to cut and clean the metal using two separate locations in the very small village of Glashutte, Germany. The movement begins with a traditional Glashutte 3/4 plate which is rhodium plated and decorated with Glashutte ribbing and Langeleist perlage. Next, the ratchet and crown wheels are decorated with traditional Glashutte starburst patterns. Finely blued screws are used throughout, and other features include Triovis fine adjustment in four positions, hack mechanism, Nomos click, and power reserve of 45 hours. Beautiful silver plated dial with a combination of Roman numerals and hour markings. The dial contains an off-center subsidiary seconds dial. The dial is first sand blasted, then bathed in silver to provide the unique Nomos coloring. The baton hands are made of polished steel and then flame blued. 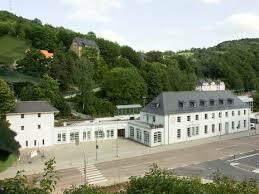 The case is made in a special steel alloy which is nickel-free. Sapphire crystal on front and back. Nomos is known for many good things including their straps and this watch is no different. This watch features a suede velour strap which has both an interesting texture and color. 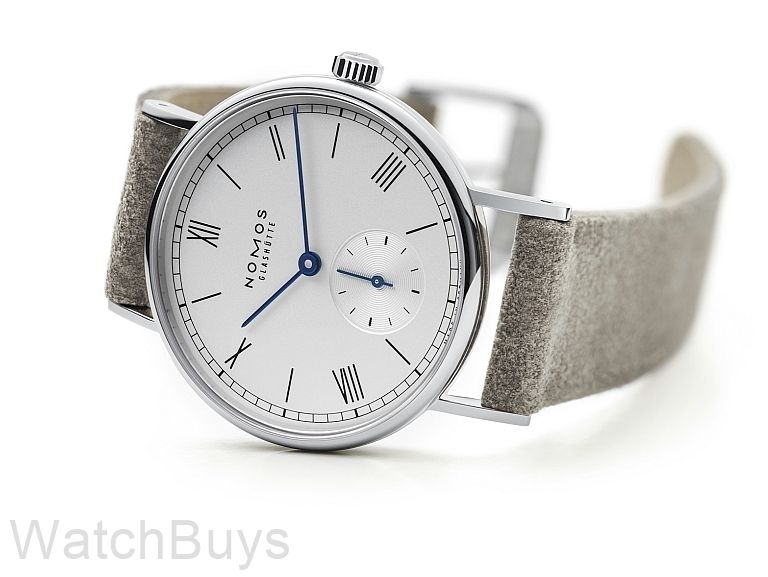 WatchBuys is an official national partner for Nomos Glashutte in both the US and Canada, so you're purchasing a watch that is factory fresh that came directly from Nomos Glashutte to us. As one of the oldest official and authorized Nomos partners (16 years), we value our relationship with Nomos and are working together to offer the brand throughout North America, all stocked in the US to prevent import shipping hassles, delays and unexpected costs. WatchBuys is pleased to be a fully authorized and official partner with Nomos Glashutte German watches for the US and Canada.